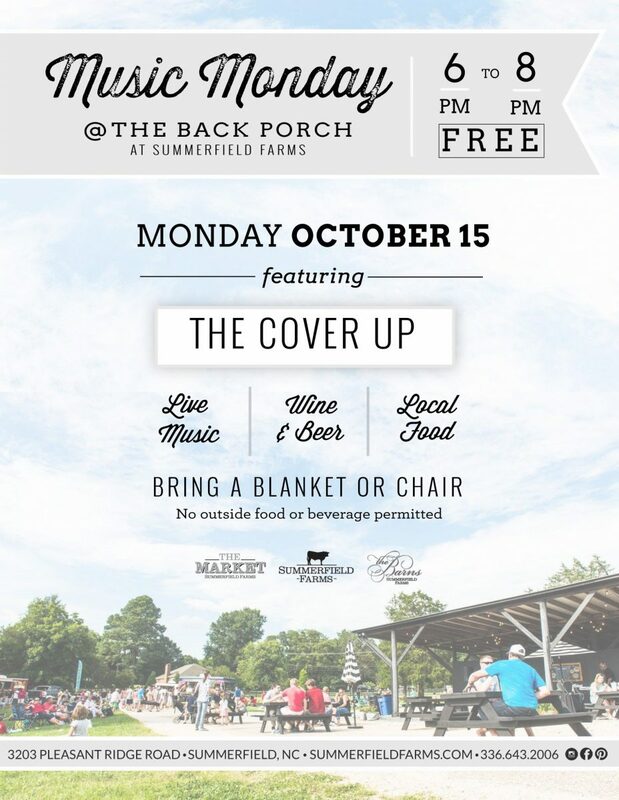 Kick back at our Music Monday featuring The Cover Up! We’ll have all the essentials: wine, beer, & a food truck. Make sure to bring a couple of chairs to get cozy. See you at The Back Porch, this is an event you won’t want to miss!